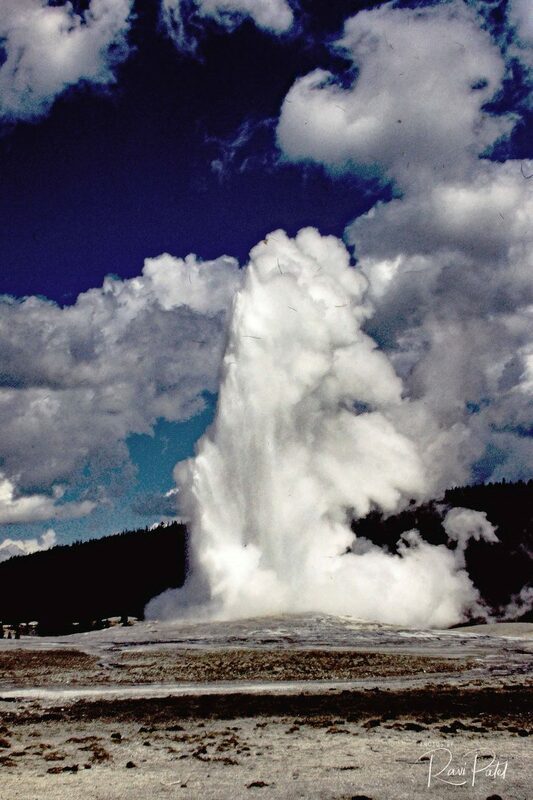 Old Faithful is a cone geyser located in Yellowstone National Park in Wyoming, United States. It was named in 1870 during the Washburn-Langford-Doane Expedition and was the first geyser in the park to receive a name. Image circa 1985.